The people are really friendly, the cobblestone streets are beautiful, and the food is to die for! Some of the best vegetarian food I had in Italy was during my stay in Florence. With some research and planning, I found that it was really not that difficult to find good vegetarian restaurants in Florence. 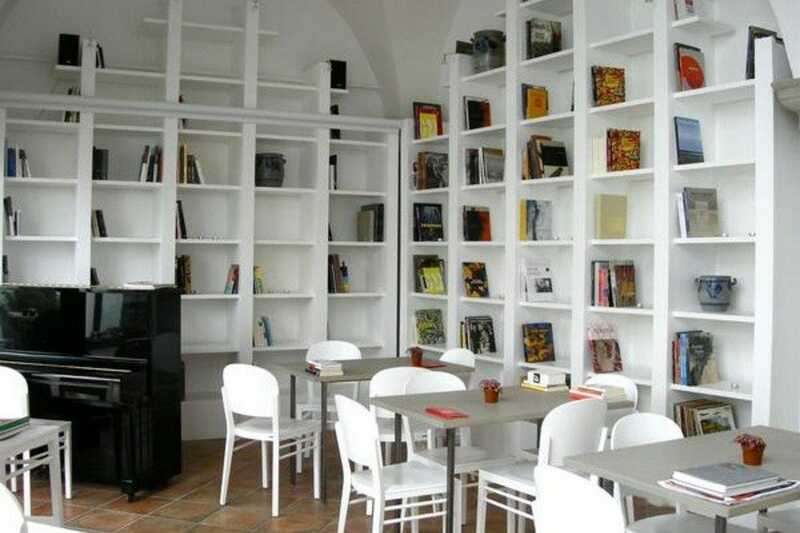 In fact, despite being steeped in history, Florence has some of the most modern cafes and restaurants that serve delicious, contemporary and vegetarian Italian food. 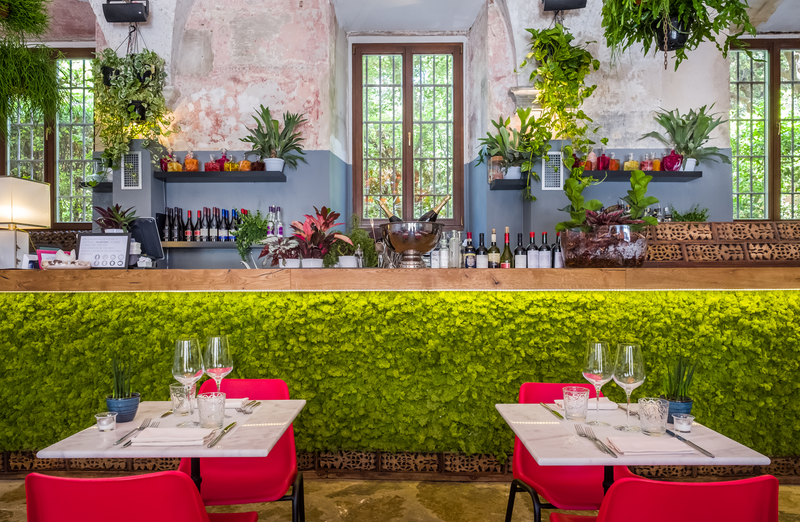 Disclaimer: This is by no means an exhaustive list, and is only a compilation of really good vegetarian restaurants (IMHO) that I ate at during my trip to Florence. Brac is hands down the best vegetarian food I had during my trip to Florence, and easily among the top three I visited during the course of my Italian holiday. We ended up visiting here thrice during our stay in Florence. The food is fresh and delicious, while also being budget friendly due to their ‘piatto unico’ (single plate) meal concept. You can have a salad, a first course (a baked dish) and second course (rice or pasta) for 15 euros. So for two people, together with the bread, drinks, coperto (table charges), and tips, you can expect to pay about 28-30 euro. The service is friendly, decor is very upbeat, and the ambience is casual. They also have bar seating, since they usually run out of tables during rush hour. It is located in an alleyway close to the Museo Galileo, and is marked by a very inconspicuous doorway. It does not have any hoardings or name boards advertising its presence. Use your GPS! We reached L’ov on our first day in Florence, after checking into our Airbnb, and unpacking all of our stuff. It was about 3:30 pm, which is siesta time. Most restaurants in Italy (apart from all day bistros and cafes) mostly shut after 2:30 pm, so there were hardly any options to grab a bite. L’ov were closed as well, but we walked in anyway and were greeted by the chef who asked us if we were starving. When we said yes, he immediately beckoned us in and fixed us up with the most delicious veggie dishes! 🙂 He was super sweet and went out of his way to make sure we were comfortable. Just for this alone, L’ov is fantastic. They have a wonderful menu, and their portion sizes are generous. They also have purely vegan dishes on their menu, so its a great place for vegans as well. This restaurant with plenty of veggie options is located really close to Ponte Vecchio, in a piazza bustling with activity. Its quite easy to find, and also quite affordable. It is open for lunch and dinner, and we visited for dinner one evening. The restaurant is small and gets full pretty soon, so plan to get there early, or make reservations in advance, so that you are not left waiting to be seated. We were pretty famished that evening so I didn’t get many pictures of the food; luckily I snapped a picture of their Pizzata. It costs about 20 to 30 euro per person, depending on how much you order. Portion sizes are big and you can share. 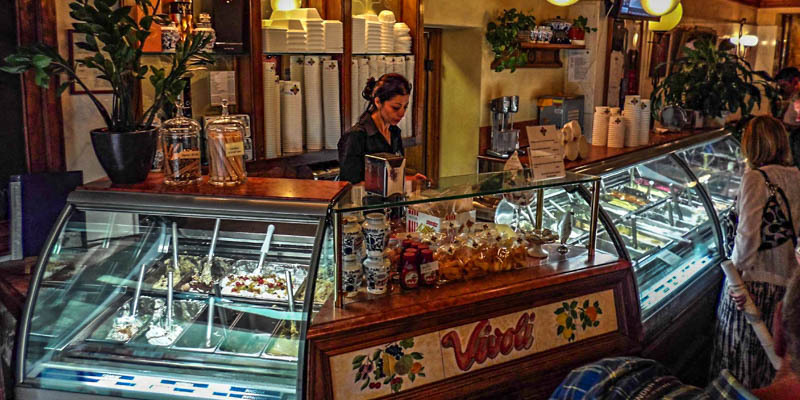 Vivoli is a really famous, family-owned gelateria operating in Florence since the 1930’s. They make homemade ice-creams with the highest quality of ingredients, like 100% Italian whole milk and pasteurized fresh cream and fresh seasonal fruit. They do not use any type of additives, preservatives, emulsifiers or dyes in their gelato. They also serve a wide range of pastries, semifreddo (frozen dessert) and affogato. There’s usually a long line here waiting to get their hands on Vivoli’s gelato, and I promise that its TOTALLY worth the wait! I had their chocolate (cioccolato) gelato, and it was so rich, thick and velvety in texture, all with the beautiful fragrance and luxurious taste of chocolate. I cannot describe this in words adequately! In short, GO TO VIVOLI ! This is a nice place right opposite the Santa Maria Novella church. On a really hot day, around 4 pm, we were looking for something cool and refreshing when we stumbled upon Shake Cafe. This is a juice and smoothie bar, where you are allowed to create custom juice blends for yourself. You can get the best fresh pressed juices, smoothies, coffees, breakfast or a quick and healthy lunch – of course with vegetarian and vegan options. They also have gelato, which is fantastic in taste and also reasonably priced.